There are few things I enjoy as much as funny females. Maybe it's because as a teenager, every Saturday night was ruled by the women of Saturday Night Live. Molly Shannon, Cheri Oteri, Ana Gesteyer, Tina Fey: those were the comedy all stars of my high school experience. Unfortunately it's taken quite awhile for the rest of the nation to catch up to "the wisdom of my adolescence," but thanks to the mega hit film Bridesmaids last year, I think the ridiculous question of whether or not women can be funny has finally been laid to rest alongside the earth being flat and sandals with socks. So in honor of all the funny females who continually make me laugh, I want to give a shout out to a few of the new ones who are currently enjoying a great year in comedy. They are names that you may not know, but you definitely should, and ultimately will. Though making a splash with only two scenes in last year's Bridesmaids and following that up with six (you counted right, six!) films in 2012, Rebel Wilson is still mainly known by American audiences as "the funny, fat British girl." This is due, in part, to the fact that movie studios continue to make her the star of every movie trailer in which she appears (thanks to her ability to get a laugh out of every line she has) but refuse to show her name in the process. So here it is. REBEL WILSON! That's her name, and she's actually Australian. Take a look at how she single handedly makes the upcoming film Pitch Perfect, look like something far more entertaining than its premise lets on. 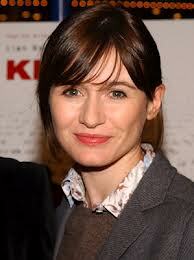 Emily Mortimer isn't new to comedy. Her memorable turns on 30 Rock and in films like My Idiot Brother have demonstrated her abilities as an actress with a dry wit. But her work on the new HBO series The Newsroom has brought her talent to a whole new level. Who knew this swan-like British actress could be so warm, lovable, and funny? Maybe her husband...? In The Newsroom, not only does Aaron Sorkin's perpetually dense dialogue pour out of her mouth with ease, but it does so without making her seem elitist. And in a show like The Newsroom that's meant to be an idealistic view of the news elite, that's no small accomplishment. Forever in a balancing act of Peabody awards, fervent optimism, and complete lack of office emailing skills, her Mackenzie proves to be one of the most vibrant characters on the show. Set in and around a dance studio in the small fictional town of Paradise, ABC Family's newest show Bunheads comes from creator Amy Sherman Palladino (Gilmore Girls), and carries with it the fast paced dialogue that has become her hallmark, packed with heart and a whole lot of snark. But it took me two complete viewings of the first episode before I realized where I had previously seen the town misfit Truly. I used to enjoy Stacey Oristano on the brilliant show Friday Night Lights in which she played a small town Texas housewife and pole dancer with a heart of... definitely not gold... aluminum? Anyway. On Bunheads, she's rid of the trailer park, and has in its place, a clothing store by the name of Sparkles. Just as quirky as it sounds, her performance is filled with self doubt that often serves as a scene stealing contrast to the sharp intelligence of the other characters. See how she manages to finagle her way into the birthday plans of her nemesis Michelle (Sutton Foster) in a recent episode. So here's a question: Who are YOUR favorite funny females right now? Amy Poehler? Zooey Deschanel? Lena Dunham? Leave a comment and share your favorites!